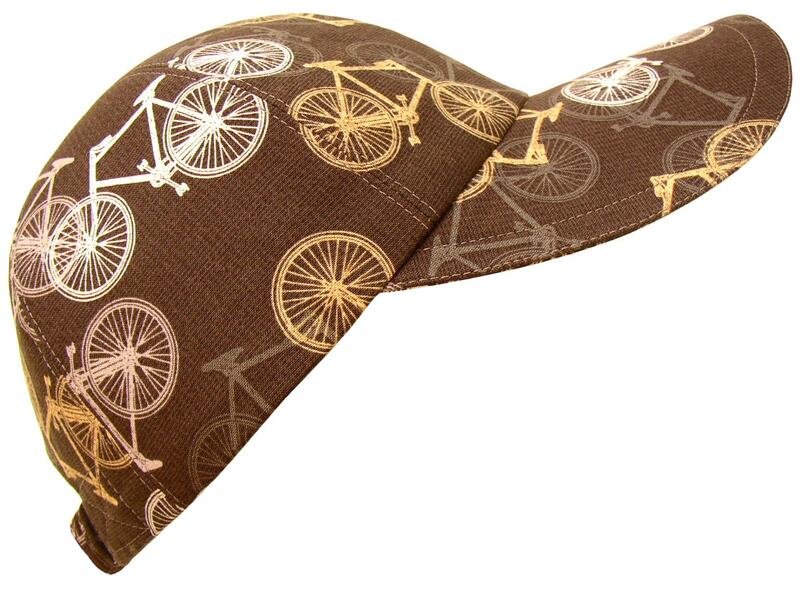 This baseball cap is called "Bike Toss" - A sophisticated print featuring mountain bikes in shades of gray, gold, mauve and white scattered on a subtle grid pattern black background. Dolphin Gray top-stitching, black grosgrain band on the white-on-white floral print cotton lining. A great gift for your favorite cyclist. Also available in the new Visor! The classic 6-panel design is nicely rounded for a more flattering look and beautifully lined in a pretty white-on-white floral cotton print for lasting comfort. 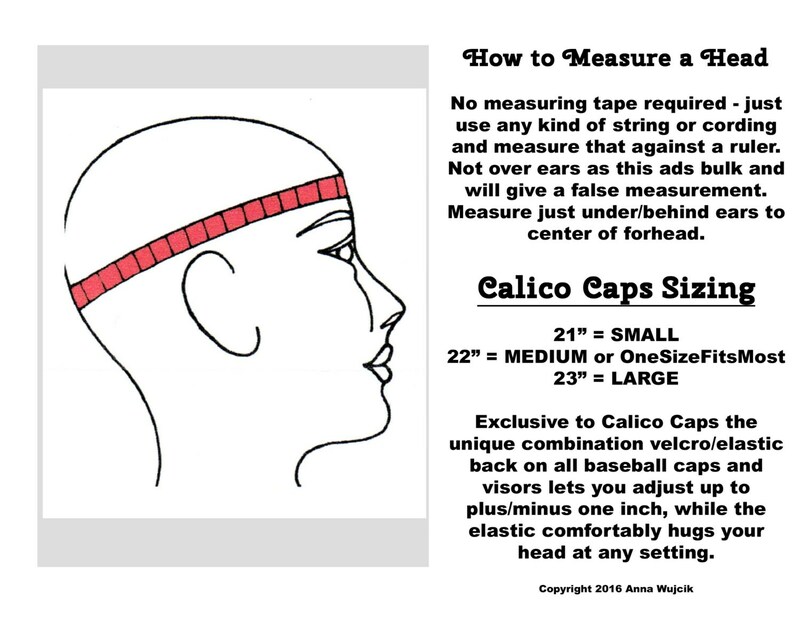 Single layers of interfacing on the dome pieces give Calico Caps® a soft and comfortable shape. Decorative, detailed topstitching everywhere - reinforced at stress points - CALICO CAPS® are made to last! The brim gets its' firm but flexible shape from four layers of medium-weight interfacing. It is soft and flexible with no hard plastic like mens' caps. 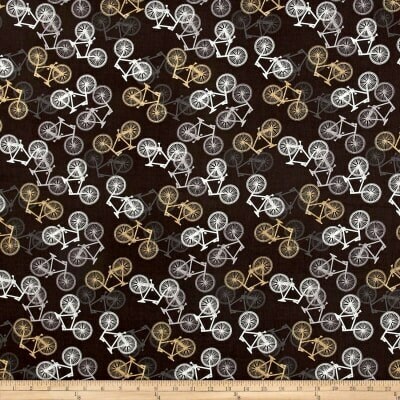 No hard plastic, cardboard or metal means CALICO CAPS® are machine washable too and that's a big plus. The underside of the brim is the same fabric as on top.